Allows you to specify parameters for simulating a map. If you've selected an existing map (or data set containing a map) in the Data Manager, allows you to specify parameters for simulating genotype data for that map. If you've selected an existing population (or data set containing a population ) in the Data Manager, allows you to specify parameters for simulating one or more traits for that population. This is the option you'll use to load into QGene data files in QGene format or any other accepted format from disk. 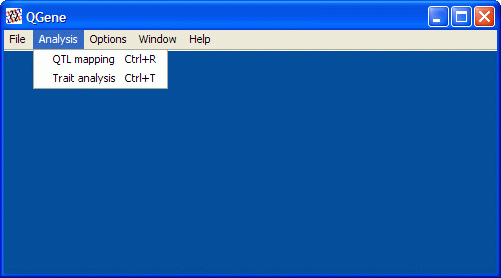 You can also load data files directly from your computer's file manager (such as Windows Explorer) by dragging and dropping their icons onto a QGene window. 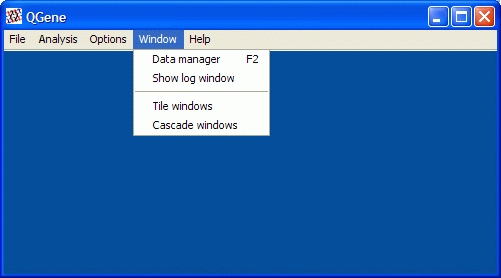 These options will save to disk any dataset in the Data Manager. This may be a simulated map or population, or a data set loaded from a file in another format, or a data set created or modified by the addition of traits. Files may be saved in qdf, QTL Cartographer, or original (Mac) QGene format. If another output format is desired, please notify the authors, or write an export plugin yourself if you're a Java developer. 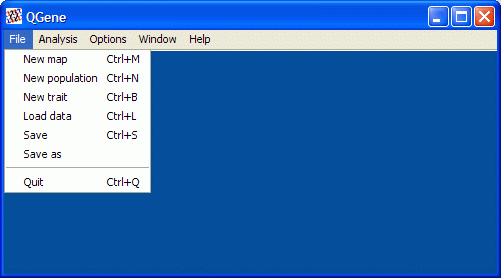 Opens a window allowing you to apply QTL analysis to a selected data set. You may open as many such windows as memory allows, even on the same data set. When a data set containing traits is selected, allows you to view trait distributions and perform other operations; see the manual page. 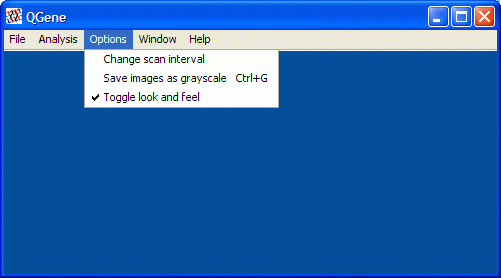 Shows the current QTL interval-map scanning interval and allows you to specify a new one, to be applied to all subsequently opened QTL mapping windows. 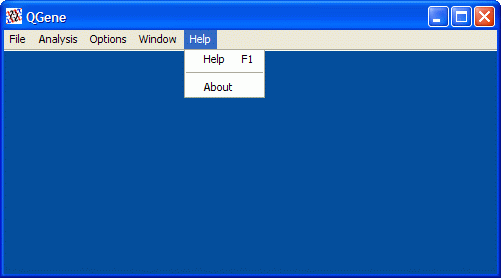 Try this option to have your windows and controls drawn in native Java style or according to the conventions of your computer's operating system -- the default that is used when QGene is first started. These hardly need descriptions -- if you're not sure what an option does, just try it. The Show log window option is useful for reporting bugs or any other problems you may have with QGene.